YOU’RE coming begging for higher ratings?! At least we didn’t have to chop off the ding-dong of one of our characters to get them! One more episode to go and “The Simpsons” stays fractional, but the fact it hasn’t gone lower is something to be thankful for. Sunday’s episode scored a 0.9/4 and 2.142 million viewers; only the viewership was down – and VERY marginally down – from the previous episode (2.147m). The episode skewed 53% to the 18-49 demo (the lowest skew of Fox’s primetime, bar repeats), equating to around 1.14 million viewers in that demographic. The episode was beaten by “Family Guy”, which ranked top of the night for Fox with a 1.0/4 rating and 2.154 million viewers (just 102,000 viewers separating them). 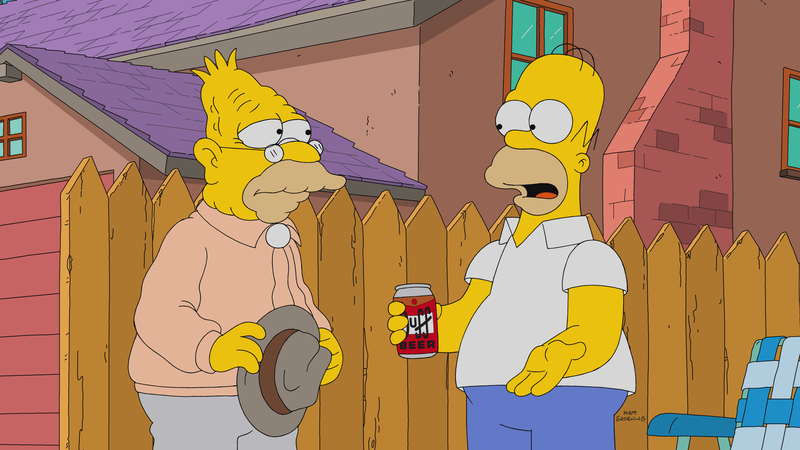 Competition in “The Simpsons”‘ timeslot was below usual (viewing levels, especially early in the evening, decline as we go further into spring), with around 18 million shared around the other three broadcast networks. See you next Tuesday to see how “The Simpsons” copes with its season finale up against the mights of the “American Idol” finale and the Billboard Music Awards… my guess is that it records a new series low. Until then…!